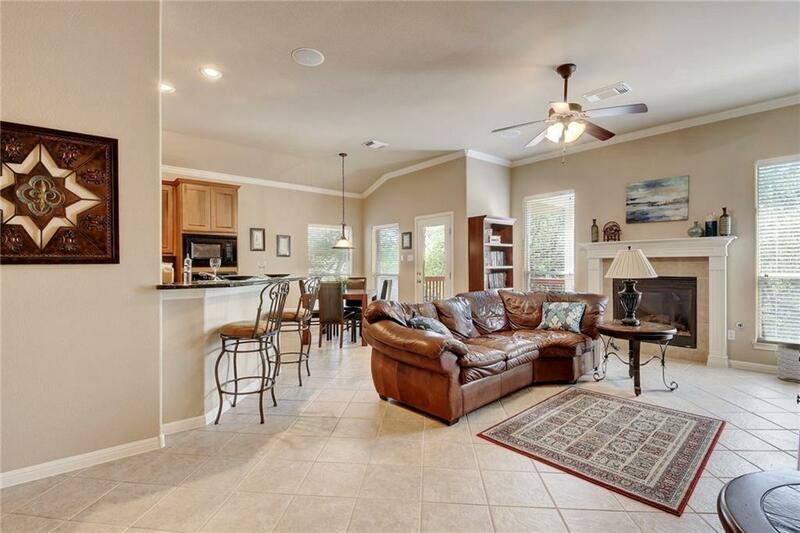 A rare opportunity to own a meticulously maintained one-story home on a lovely greenbelt lot in desirable lantana neighborhood, only 8 miles to downtown and walking distance to the new moviehouse & eatery! A fantastic floor plan with high ceilings, 3 bedrooms, 2 baths, & a dedicated study. Private greenbelt views from the family room & master bedroom w/ a huge walk-in closet in the master. Relax as you enjoy the majestic oak trees from the yard & covered porch. A wonderful home in an excellent location!